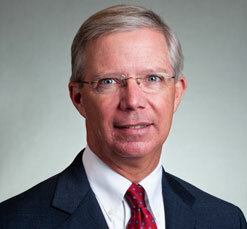 Experience is an essential element to Skip Wilson’s success as a litigator. With 31 years of concentration in the areas of products liability, transportation (railroad and trucking), and industrial accidents, he brings a significant depth and breadth of knowledge to each case. A lifelong Mobilian, Mr. Wilson started his first job at age 12, and still values hard work as a key to success on behalf of his clients. With a case history which has included assisting clients in Florida, Alabama, Mississippi, and Louisiana, he possesses the experience necessary to meet the needs of clients regionally as well as in-state. Mr. Wilson is married with two daughters–one a first grade school teacher, and the other a college student.